We can celebrate and prognosticate. The Mayan calendar appears to be wrong, so it seems we can safely forecast the trendy flavors, fashionable functional foods and hot ingredients that will dominate 2013. And, barring galactic recalculation, we can even act on some of them. Any serious prediction of 2013's food and ingredient trends has to acknowledge the 900-lb. gorilla in the room (even he's put on weight). We still suffer from an epidemic of obesity that continues to grow and place an increasing health care burden on the economy. Even the most conservative forecast has the nation's obesity (a body mass index greater than 30) rate hitting 42 percent of all adults by 2030, with a "severe obesity" rate of 11 percent, according to a study published last summer in The Journal of Preventative Medicine. Paralleling the surge in obesity is the rise in type 2 diabetes, projected to afflict one in three Americans by 2050, according to the Centers for Disease Control. Obesity and type 2 diabetes are by no means the only health problems in the modern world, but they have extensive tentacles and are the best evidence of a modern diet gone awry. Another factor shaping the upcoming trends is the fact that the population is aging. By 2040, one in five Americans will be age 65 or older, up from about one in eight in 2000. Baby boomers are now Medicare and Social Security age, but are not ready to be put out to pasture. They are looking to stay active and engaged and are willing to try products that they feel will help them do so. If you add to the above concerns over global matters, specifically sustainability, it becomes apparent that food trends increasingly are not merely a matter of whim or fashion. The uplifting news is that food and beverage processors, in tandem with ingredient developers and suppliers, have been achieving remarkable success in applying the technology for creating foods and beverages to help address the obesity and diabetes issues in conformity with that perennial trend of, "If it has no flavor, consumers will not accept it no matter how 'good for you' it is." Converting many more ingredients to natural forms will be a trend in the new year, according to Rodger Jonas, director of national sales for PL Thomas & Co., Morristown, N.J. "Now that [more] natural forms exist for color, with greater stability, the trend toward change is becoming dramatic. We're finding non-GMO and allergen-free ingredients all are on the rise. "This trend can be seen as creating a 'cleaner' label and providing a perceived consumer benefit," he continues. "For example, greater than 85 percent of American consumers know what lycopene is and it has a 'feel good' representation on product labels. It is now a good, naturally derived color ingredient as well. Multifunctional ingredients will continue to thrive." "The growth in demand for naturally derived food coloring in the U.S. continues to outpace certified synthetic/FD&C color additives," agrees Campbell Barnum, vice president of branding and market development for D.D. Williamson Inc., Louisville, Ky. "The warning label required for the 'Southampton Six' food colors in the EU has resulted in a de-facto ban on equivalents to Red 40, Yellow 5 and 6." The "Southampton Six" are the six colors that a 2007 British study connected to hyperactivity in children. They include Alurra Red (also called Red 40), Ponceau 4R (E124), Tartrazine (Yellow 5) (E102), Sunset Yellow FCF/Orange Yellow S (Yellow6) (E110), Quinoline Yellow (E104), and Carmoisine (E102). 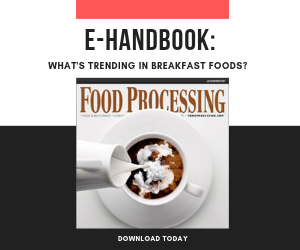 "Media stories on food color additives have boosted consumer awareness and influenced the increase in new products developed in the U.S. without FD&Cs," says Barnum. "Food product developers will be increasing the number of formulations made with [natural] coloring alternatives — carotenoids, anthocyanins, turmeric and other sources." Barnum also notes that in recent months, red has replaced yellow as the top beverage hue in soft drink launches. He forecasts this trend will continue in the first half of 2013. In beverages as well as packaging, he predicts peach will be a popular hue for product launches in the second half of 2013. "One of the areas we see continuing to grow is cognitive function and brain health," says Barbara Davis, PL Thomas' director of medical and scientific affairs. "This not only includes the ability to retain mental sharpness by the aging population, but also 'mental energy' from younger consumers. Complementary to this is an interest in mood enhancement and the ability to manage stress." In response, P.L. Thomas launched its cognitive support ingredient, Zembrin, last fall. "This 'experiential' ingredient — you can feel that it works — has GRAS status and is backed by clinical data supporting its safety and efficacy for stress-relief and enhanced cognition," Davis adds. Where obesity is concerned, we'll see the rise of increasingly targeted products. Weight-management ingredients from carbohydrate sources, ranging from gums and fibers such as polydextrose, resistant starch and inulin/oliggosaccharides will lend satiety. And sweeteners such as stevia and monk fruit (luo han guo) will reduce the calories. Glucose control also will be more prominent. A major area for improvement is consumer awareness and education of what these targeted ingredients can achieve. Alongside sweeteners, fibers and starches, ingredients such as olive leaf extract, chromium picolinate and cinnamon, may contribute to better glucose control. It will be interesting to see how processors take to the "orphan nutraceuticals" in the coming year. These are ingredients that have a proven track record supporting healthful functions of the body and mind, are readily available and efficacious in formulation — yet have been largely ignored by processors. Two cases in point are coenzyme Q-10 (Co-Q10) and vitamin K2. Vitamin K2 MK7 (menaquinone) has been clinically proven to have both bone and heart health applications because it improves utilization of calcium. This still is not well known by consumers, however, and that has stunted introduction of the important ingredient in food products. Co-Q10, a.k.a. ubiquinone, is a critical component of the electron transport chain, the end-stage machinery that converts food into energy as adenosine triphosphate (ATP) the body can use. But that's not all. Located in the mitochondria, the so-called powerhouse of every cell, co-Q10 also functions as a potent fat-soluble antioxidant. It also helps regenerate the antioxidant vitamins C and E.
The heart-muscle is rich in mitochondria, and this makes co-Q10 a key heart-health ingredient. Age and disease can drain the body's supply of co-Q10 and hinder its synthesis, which is why it is often used as a supplement. Microencapsulation makes this bright orange, fat-soluble compound available in multiple applications, yet currently it appears only in some performance products, typically sports bars and beverages. Probiotics continue to be an increasingly hot ingredient worldwide, and technology is enabling their use in formulations that subject them to heat, pressure and other conditions that used to kill them before they ever made it to the packaging stage. "Dannon's Activia [line of yogurt products] is widely acknowledged as the pioneer brand in the probiotic arena in terms of building consumer awareness," says PL Thomas' Davis. "However, not every consumer wants to get their probiotics via yogurt, so they look to other foods. But the majority of probiotics can't be included in food items as they don't survive high heat and pressure and have limited shelflife." PL Thomas partnered with Ganeden Biotech Inc. to market the latter's GanedenBC30 brand of Bacillus coagulans GBI-30, 6086. The microbe not only survives processing and long shelflife but also survives stomach acids and enzymes so it can arrive alive and proliferate in the intestine, the goal of all probiotics. The key to GanedenBC30's hardiness is that around the genetic core of each cell is a hardened structure, or spore, that makes it similar to a seed. This spore provides a natural protective shield against the heat and pressure of manufacturing as well as the strong acids in the stomach. The customization of microbes is rapidly becoming common. LactoSpore from Sabinsa Corp., Payson, Utah, is another spore-forming probiotic that can serve as a functional ingredient in foods and beverages, as well as in dietary supplements. "As consumer acceptance [of probiotics] grows, so does their knowledge of [the concept of] viability," says Shaheen Majeed marketing director for Sabinsa. "The shelf-stable characteristics become a major plus, as is the ability to withstand temperature extremes while maintaining its function, allowing the use of probiotics in foods such as bread." Sabinsa also is exploring the use of LactoSpore in formulations such as cheese, soft candy, puddings and instant coffee/tea. The latter two product types — probiotic puddings and probiotic hot caffeinated beverages — already are available at the retail level. On the other side of the microscope, ingredient trends are happening on a macro level. It may have been the antioxidants that helped propel pomegranate to popularity last year (and has kept the term superfruits alive in at least some consumers' minds), but the root (and source) of this healthy snacking was fruits. And the bigger category enjoyed some resurgence as well. "Popular fruit flavors for 2013 will include a diversity of familiar and not-so-familiar items," says Robert Schueller, vice president of communications for Melissa's World Variety Produce. "In the familiar line, mango is still hot and getting hotter as a flavor trend for both retail and foodservice, along with guava." The not-so-familiar fruits are from the citrus family. "Finger limes are emerging as a potential trend from foodservice due to their unique shape and textural properties. Kishu Mandarin tangerines – walnut-size, seedless and easy to peel -- are a fresh retail trend." Schueller also notes that Seville oranges, a more sour orange, has "big potential" and "could become an emerging trend in 2013/2014." It matches the flavor trend of sour and tangy that is predicted by many experts for the coming year. Macro-ingredient trends are certainly not limited to fruits. Proteins, too, are moving beyond ground beef, steak, poultry breast, pork chop and overfished/overfarmed seafood. "The use of new and unique cuts of meat and Southeast Asian ethnic cuisines such as Thai, Vietnamese, Korean and Malaysian cuisines," are the predictions of Jeffrey Troiola, corporate chef of research and development for Woodland Foods Inc., Waukegan, Ill. He concurs with the flavor predictions of increasing affinity for tangy flavors. Troiola also calls attention to non-Mexican Central and South American flavors and ingredient concepts, with special attention to Peruvian cuisine. "Peru recently won the top honor as World's Leading Culinary Destination at the 2012 World Travel Awards," he remarks. "And Indian cuisine and all types of curries will continue to gain popularity." Along with Troiola, Sterling-Rice Group, a brand strategy company, thinks sour flavors will be popular, including tart, acidic and bitter flavors such as fermented cherry juice, varietal vinegars and sour beer. Also more pickling and brining, sauerkrauts, pickles and tart flavors at restaurants. Sour and tart flavors are replacing much of the sweet, salty and fatty staples, consistent with the healthier trend. If the bacon fad has peaked, perhaps the pendulum is swinging back to lower fat foods. "Healthier ingredients such as brown rice, high-fiber/ancient grains and vegetable broths as opposed to fatty favorites such as butter, bacon and cream" are the answers, says Troiola. "Vegetables will become a more integral part of meals with dishes such as cauliflower 'steaks,' squash noodles and celery juice cocktails." Troiola also notes a variety of not-so-new grains that are appearing in food preparations, an observation he credits to Chicago food consulting firm Technomic. "Dishes such as polenta, couscous and bulgur were identified as some of today's hottest ethnic foods," he says. "Technomic also noted a number of grains -- quinoa, amaranth, millet, wild rice, corn, oats and buckwheat -- do not contain gluten and are being moved to the fore as part of the movement to eat gluten-free." Use of bean and ancient grain flours in place of wheat flours also can increase the nutritional profile of foods. Pea flour is another gluten-free substitute; it's high in protein, too. Other flours acknowledged by Troiola are bean flours, such as those from sweet lupin, cici, yellow peas, habas (dried green lima), pintos and black beans, and ancient grain flours from millet, quinoa, amaranth and others. Sustainable fish, a trend that started with farm-raised salmon and shrimp, moved on to tilapia and now to swai and barramundi. The latter is the perfect solution for processors making ready-to-eat fish dishes and answers controversies over fish farming and overfishing. Making use of specialized tanks, barramundi farming does not spoil the water table or allow waste to escape into streams. For that reason it's a trend to keep an eye on as it has experienced a sudden rise only in the past half year or so. That interest in foods and ingredients supporting a healthy lifestyle will continue to grow has never been more apparent. The trends for the coming year, while no doubt subject to whim and fashion, do have an underpinning of practicality. It will be hard to bet against health, clean labels, increased diversity and sustainability.